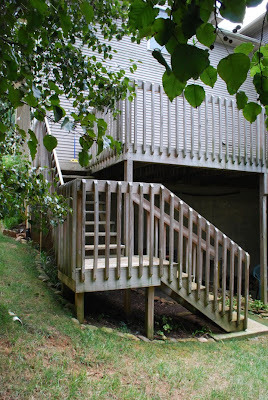 Some folks have mentioned that I never posted pictures of the renovated deck. That's because it didn't get it's finishing touch until Thursday. 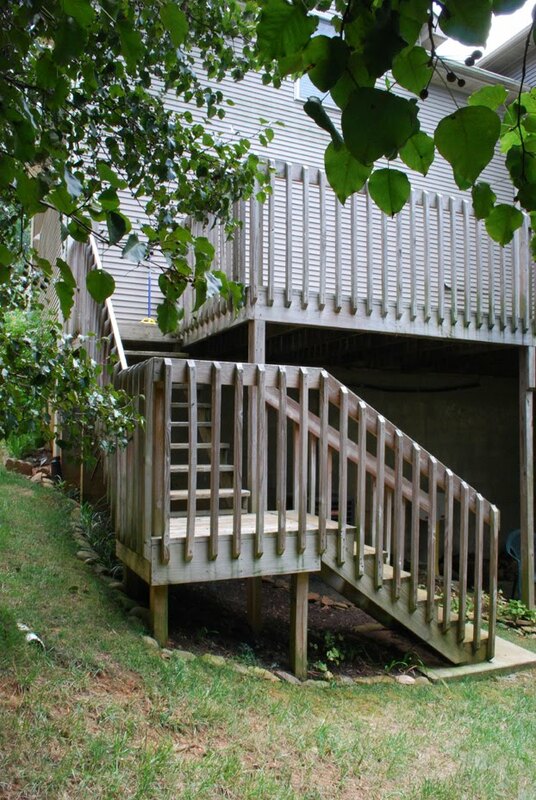 Here's the old deck and I do mean old. The average life expectancy of a deck is 10-15 years. Ours was 22. If you click on this link, you'll see a 10 second time lapse of the demolition and construction. 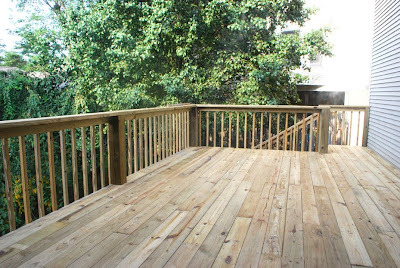 Here's the new deck, much larger as you can tell. 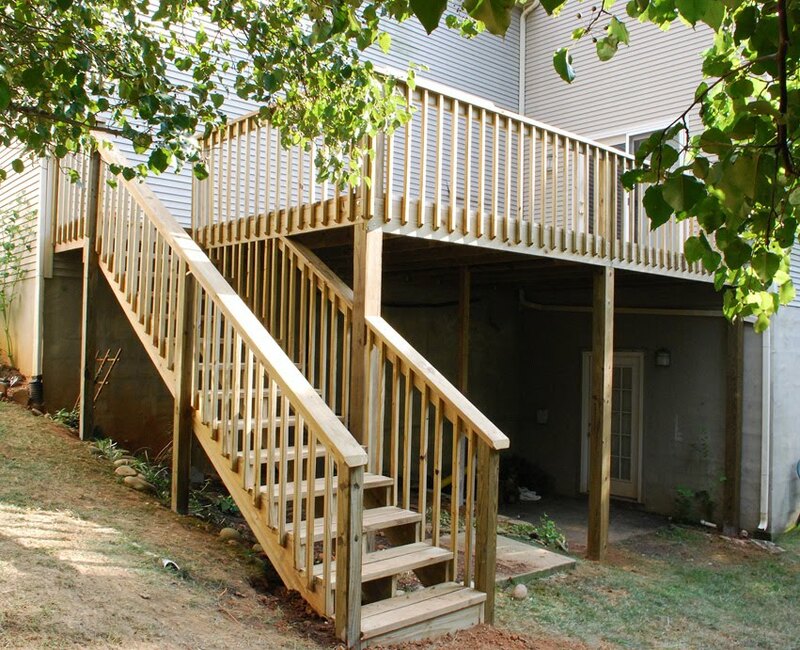 It also fixed many structural problems from the old deck which was never built right in the first place. I gained almost 3 more feet of width in my outdoor kitchen. And the cap on the side rails acts as counter space. 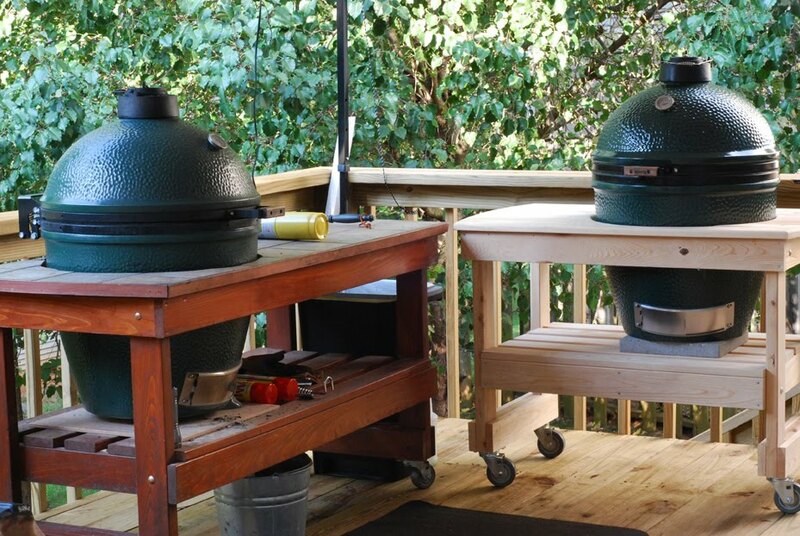 I moved the Big Green Egg back out there. Looks good but it still needs a little....something. Ah! I know! The final touch arrived Thursday. Yes - we have TWO Big Green Eggs now! Look at that virgin white interior! 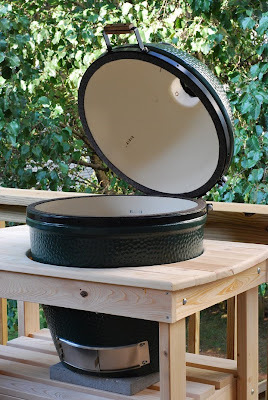 The new one is Alexis' and it is going to be used primarily as a brick oven for baking, roasting, and such. 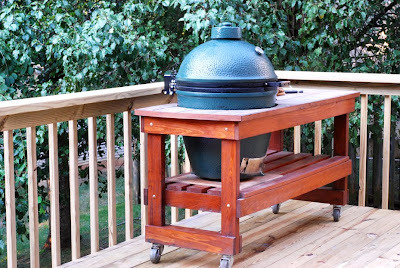 The original Egg will continue to be my workhorse and get all of the messy barbecue work. 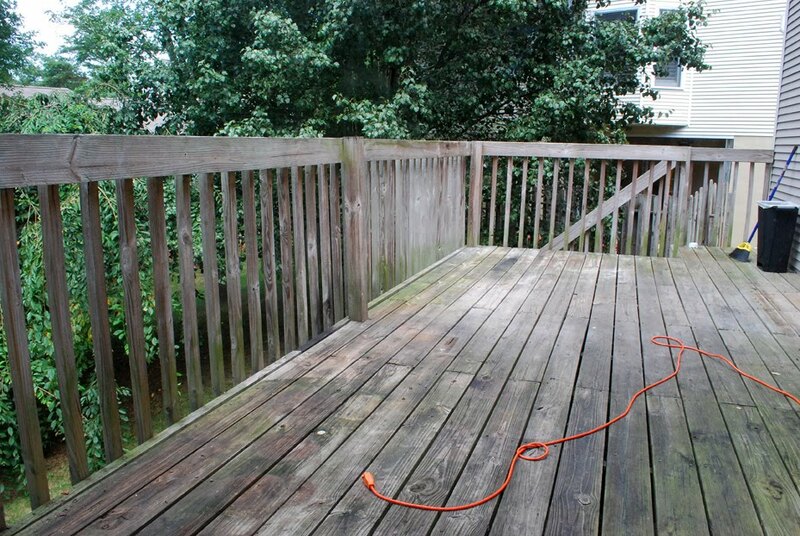 Gotta go, I have to get to work on staining and tiling the table.